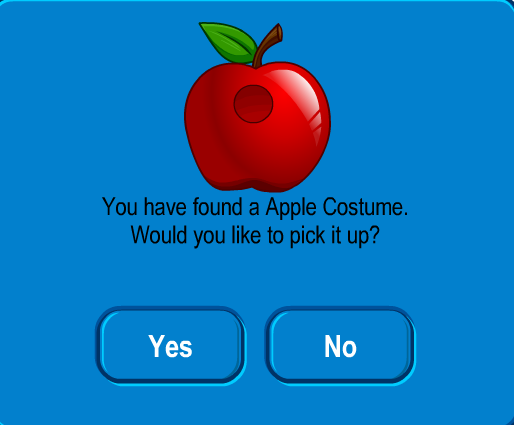 Club Penguin Cheats by Mimo777 Club Penguin Cheats by Mimo777: Club Penguin August 25: Apple Costume! 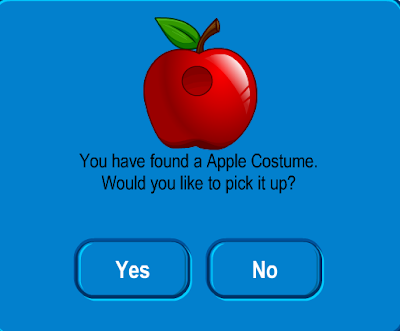 It's the 25th and you can now get the Apple Costume! This costume it pretty crazy! Mimo, Go to the Lighthouse and at the top through the telescope! Look at the far right, theres someting red flashing and after a little while it blings! I wonder what it could be? Is this costume for members only? 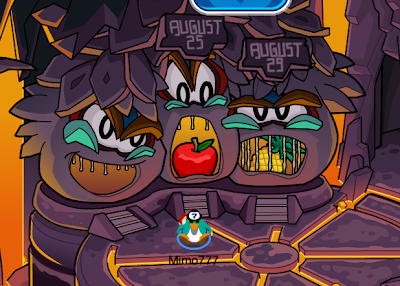 You know, they showed a picture of Herbert in the previews from both the last two parties, but no sign of him yet. 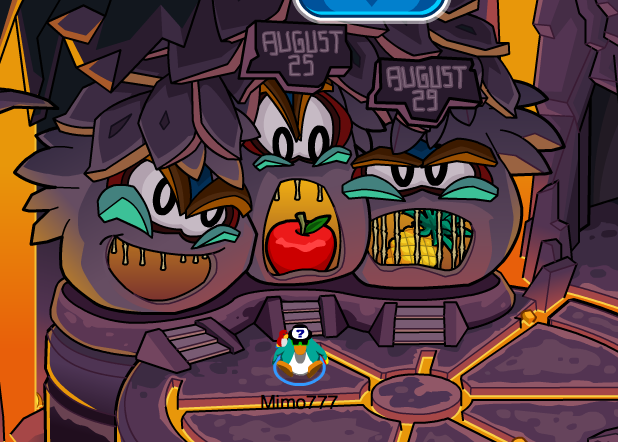 Do you think he's taking stuff from both parties and will make another try to get the island?